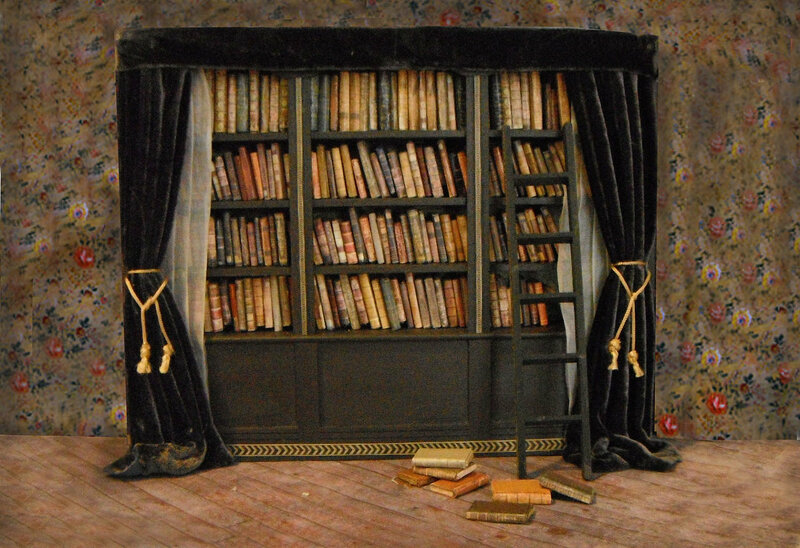 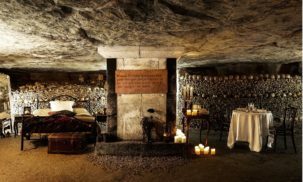 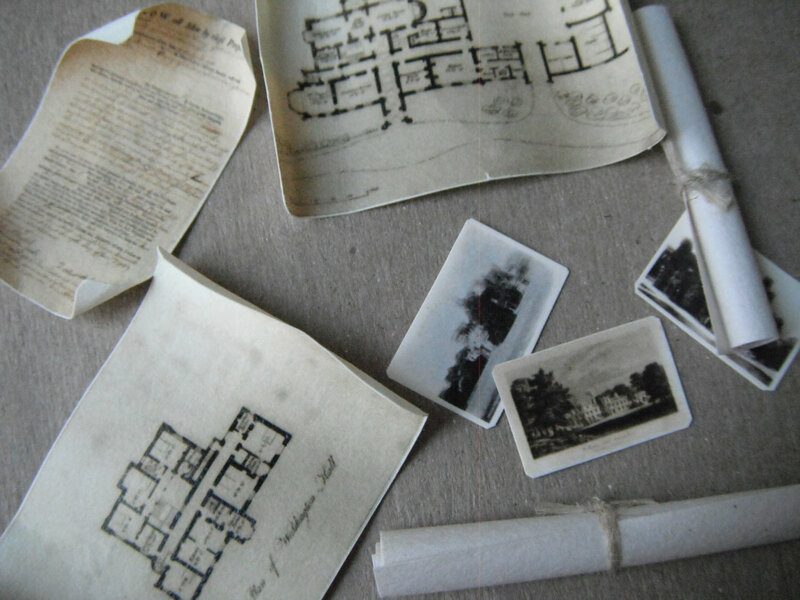 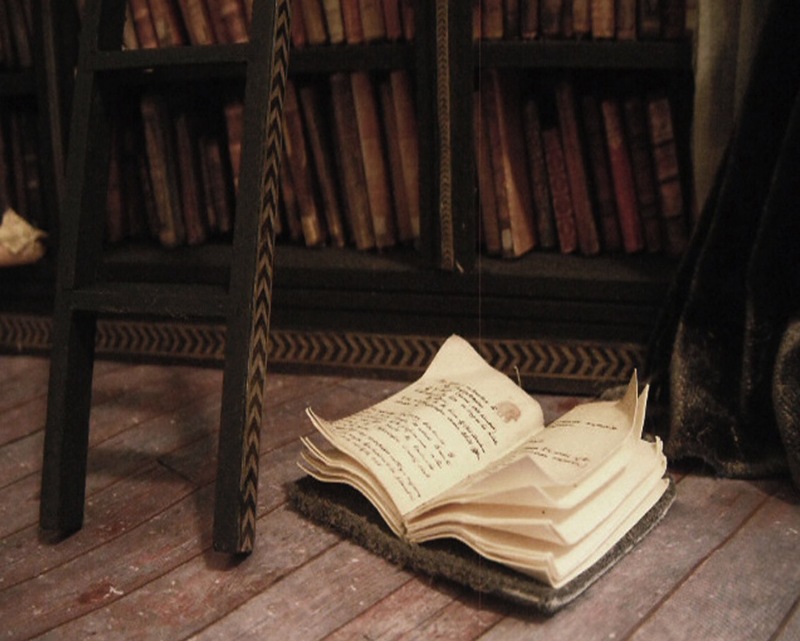 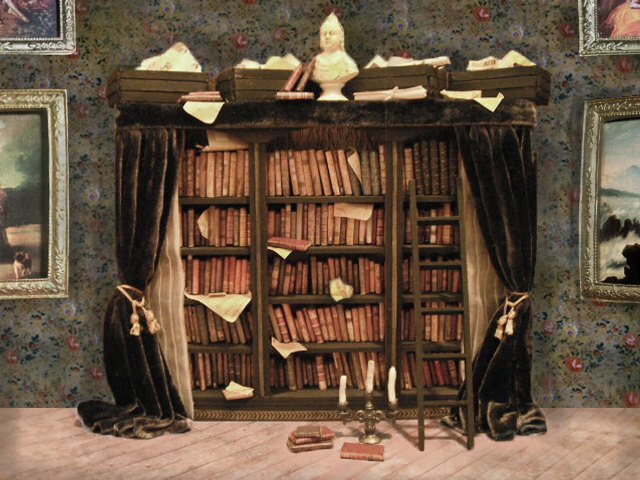 If you can’t have your own velvet-curtained library complete with dusty volumes, mysterious documents and antique treasures, how about a miniature one? 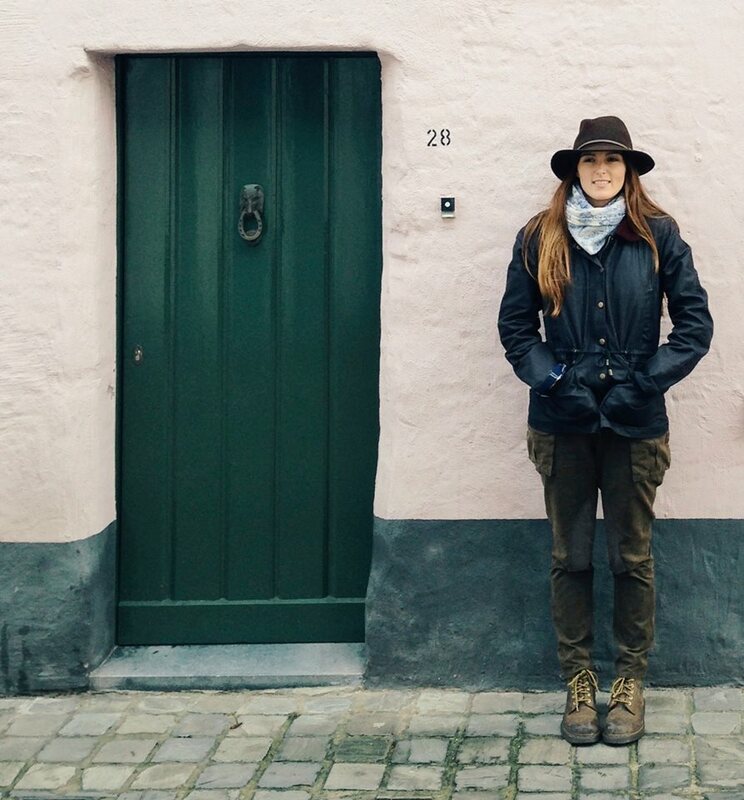 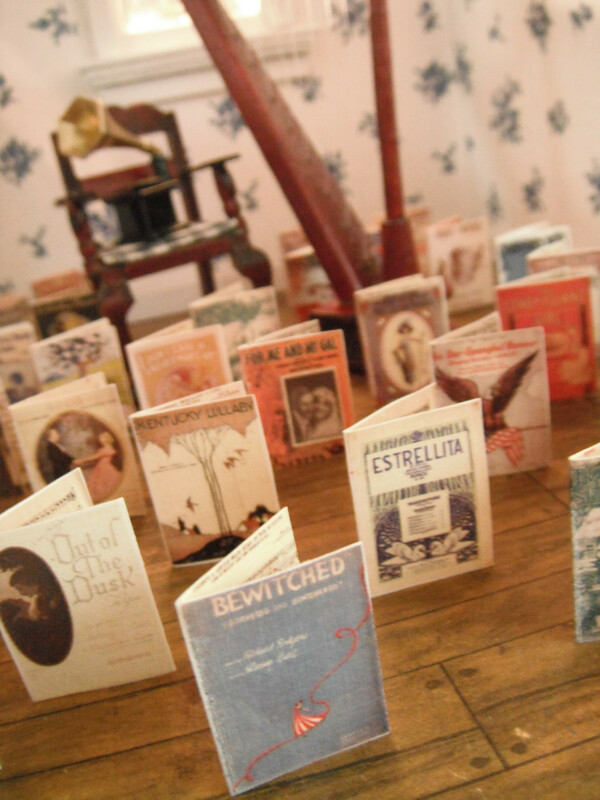 On my internet travels today, I stumbled upon the Etsy boutique of L. Delaney, artist and maker of tiny things. 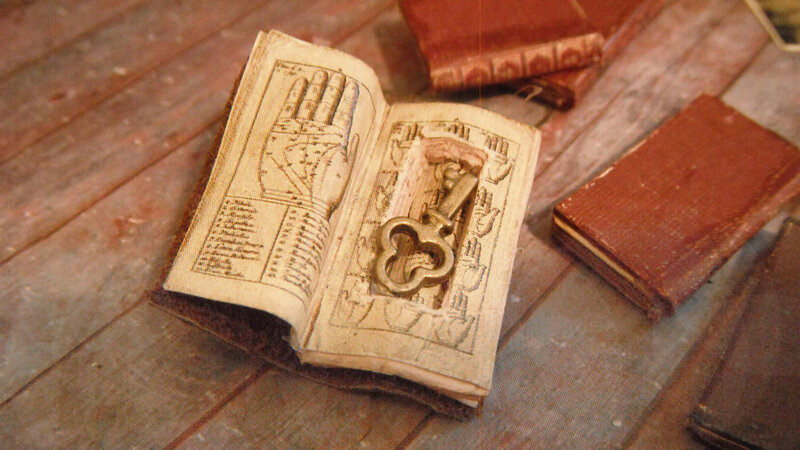 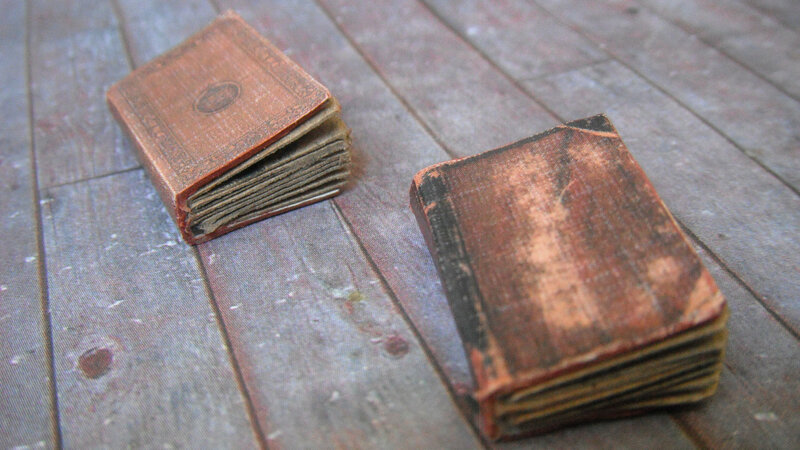 Miniature book with secret compartment. 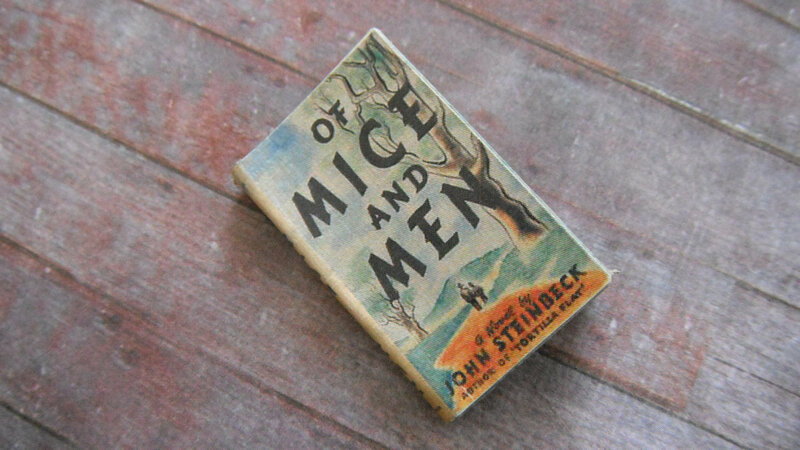 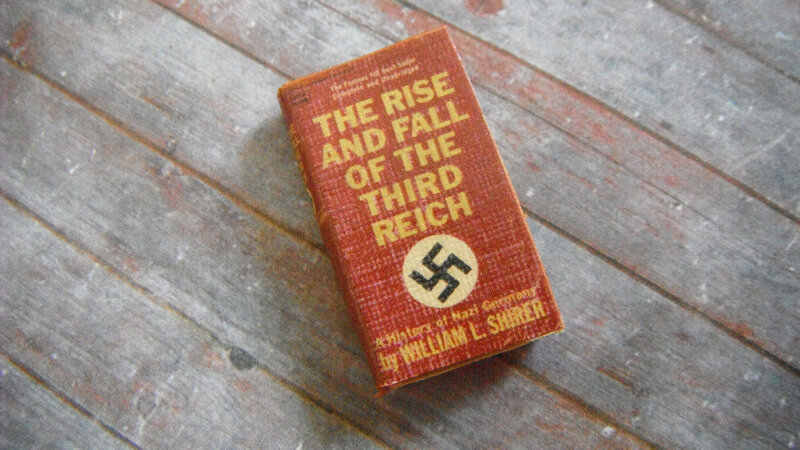 John Steinbeck’s Of Mice and Men. 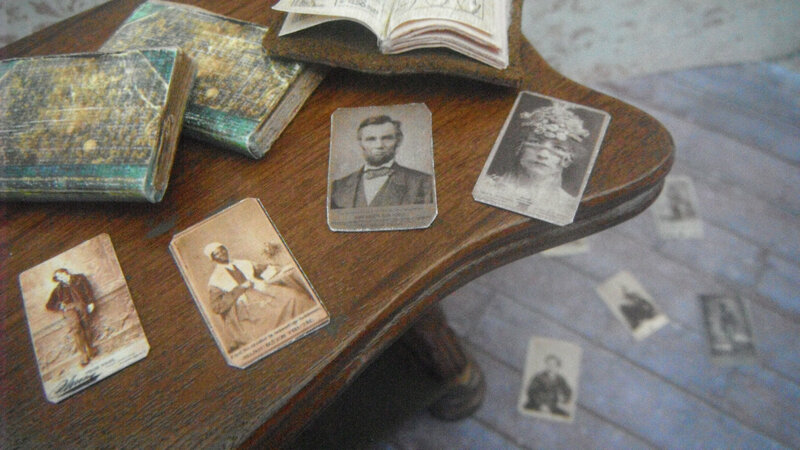 Miniature cards of 19th century celebrities. 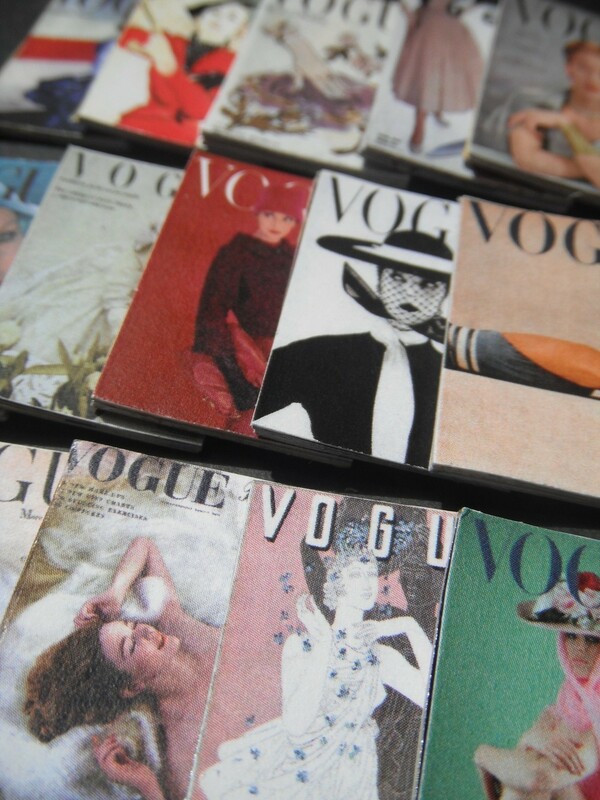 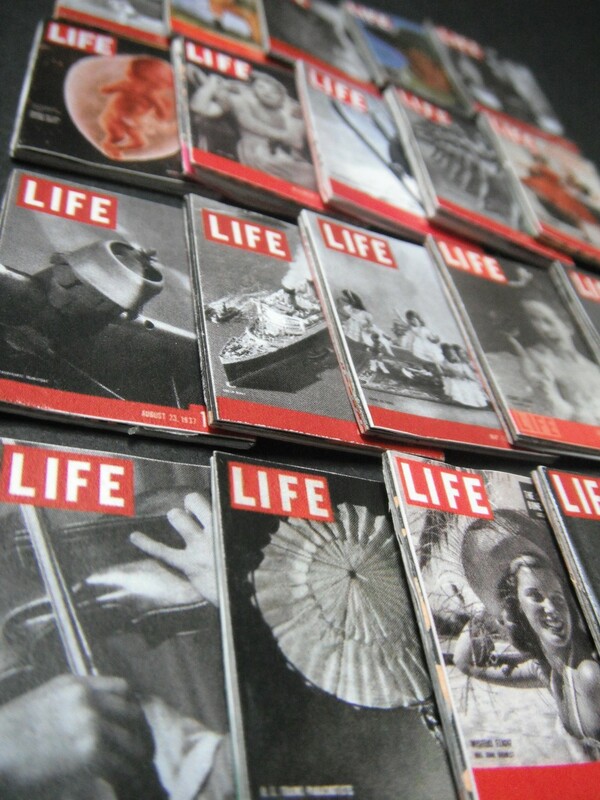 Tiny copies of vintage Vogue. 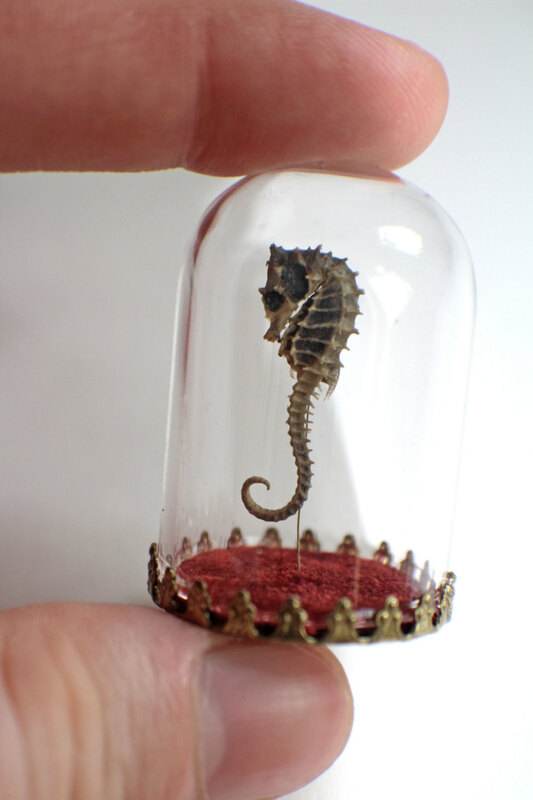 Seahorse in a glass dome. 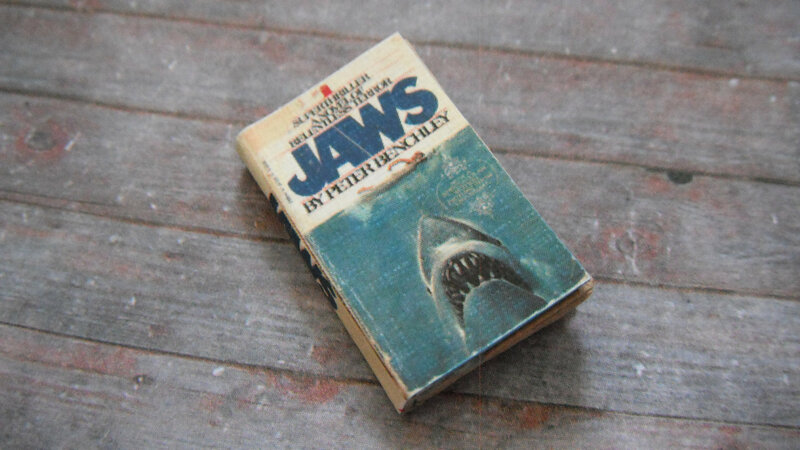 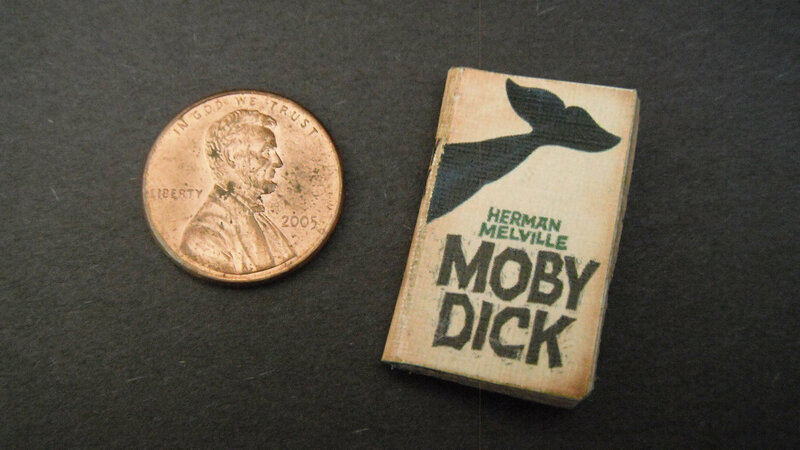 A must-have guilty pleasure in any library, a tiny edition of Jaws. 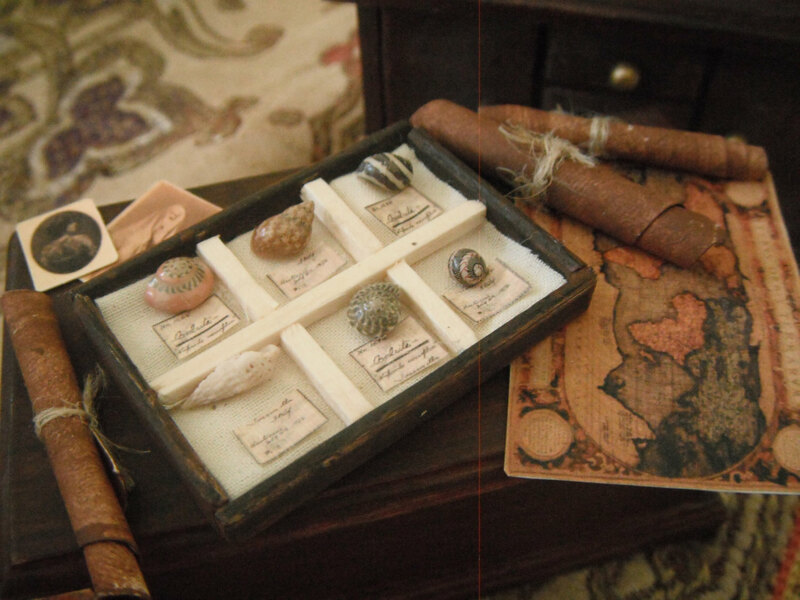 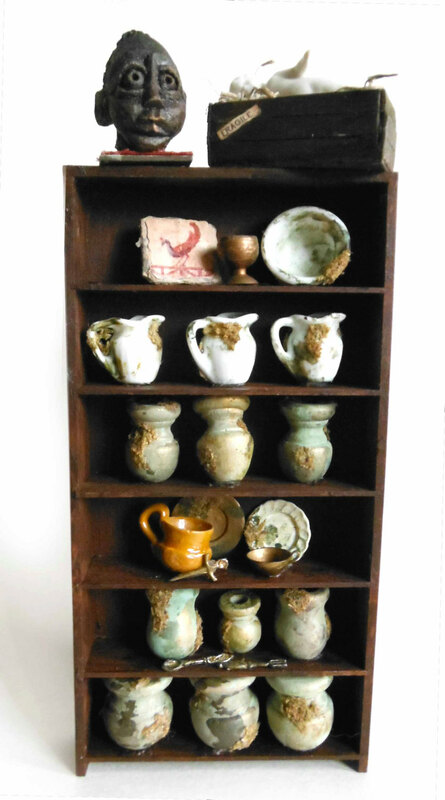 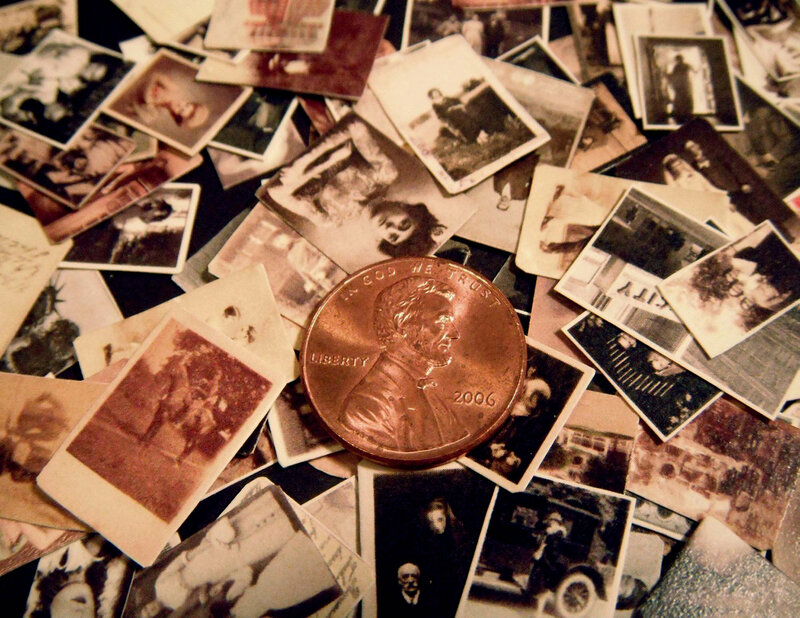 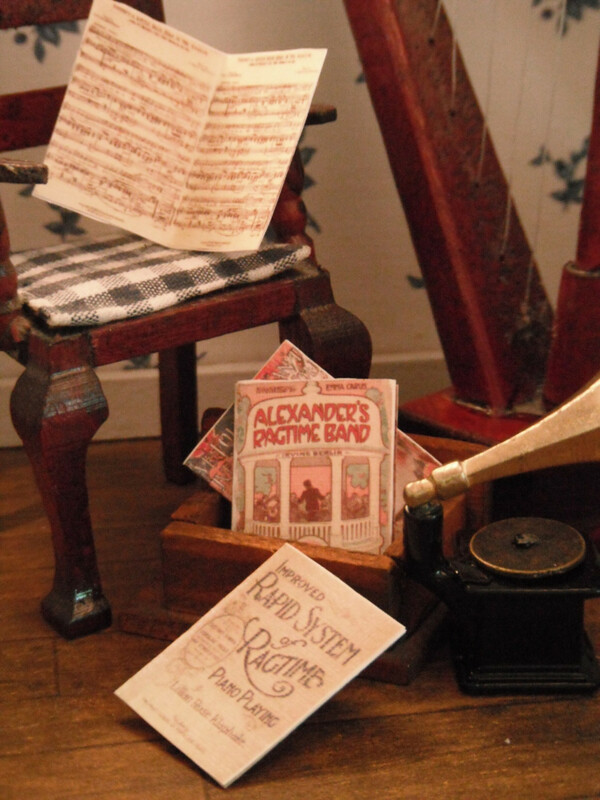 Discover the curious miniature world of L.Delaney on Etsy.